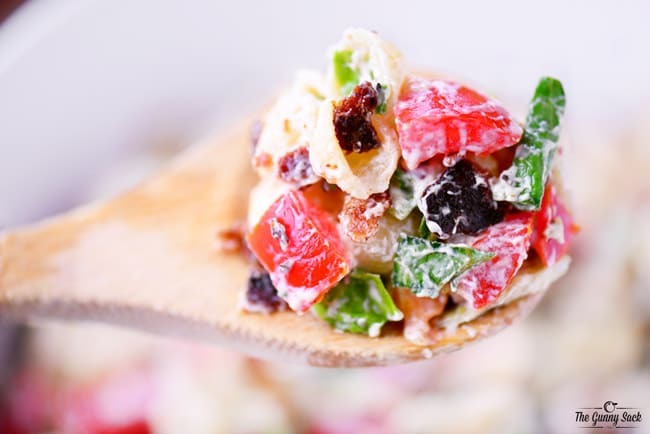 This BLT Pasta Salad features creamy dressing, crunchy bacon, crisp lettuce and fresh tomatoes! 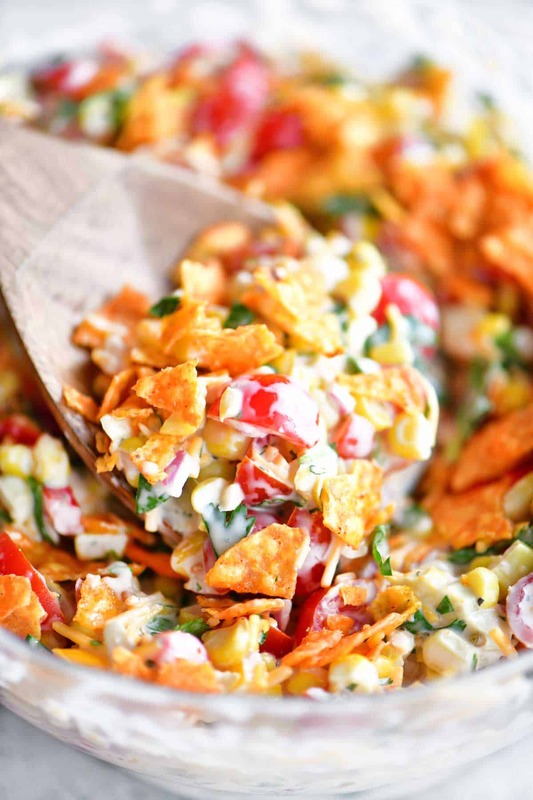 It’s a popular summer salad recipe for a backyard cookout. Sponsored by Bushel Boy Tomatoes. Our first backyard cookout is officially scheduled and I couldn’t be more excited! It is going to be filled with grilled foods, cool salads, and fresh fruits. 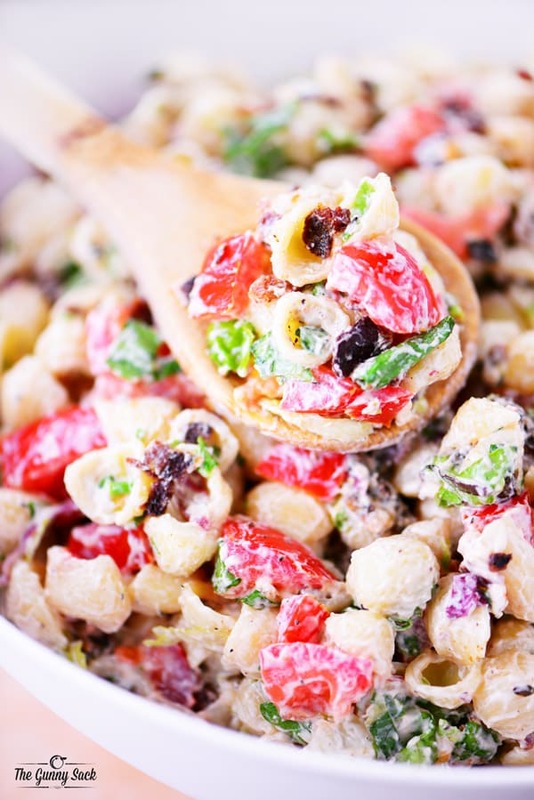 I am planning to bring this BLT Pasta Salad. It’s easy to make, done in less than an hour and perfect for sharing! The main star of this BLT Pasta Salad are these Bushel Boy™ tomatoes. 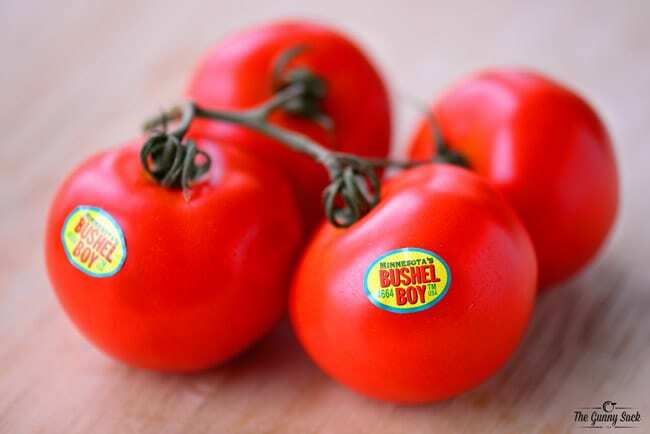 Bushel Boy are grown right here in my home state of Minnesota since 1990. 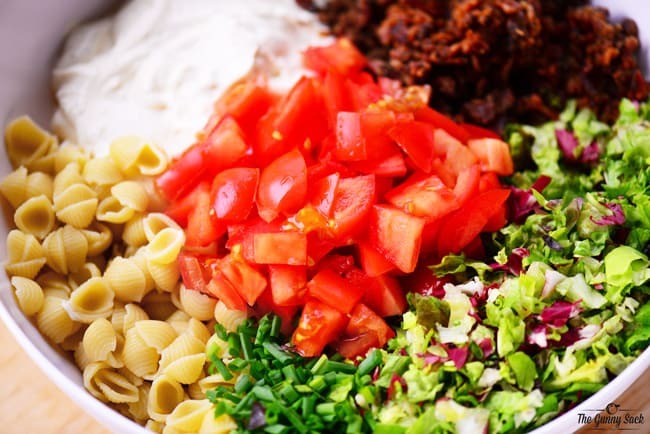 Start the salad by cooking the pasta on the stovetop and the bacon in the oven. Drain the cooked pasta, rinse it with cold water, and once it water had drained transfer it to a large bowl. Drain the bacon on paper towels, chop it up, and add it to the bowl. 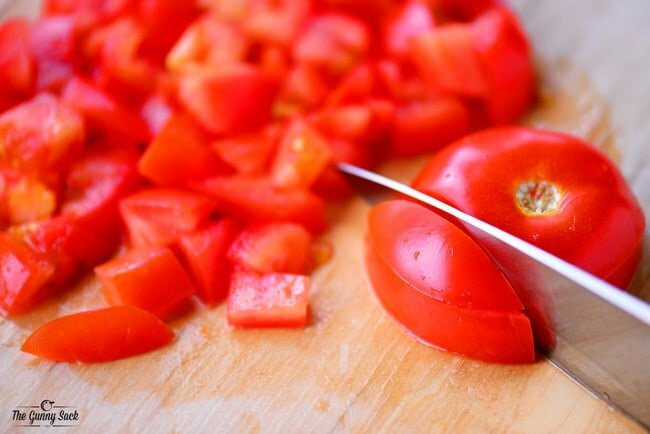 Next, cut the fresh, ripe tomatoes into pieces and add them to the bowl. Mix together mayonnaise, sour cream, lemon juice, vinegar, sugar, onion powder, minced garlic, salt, and pepper. 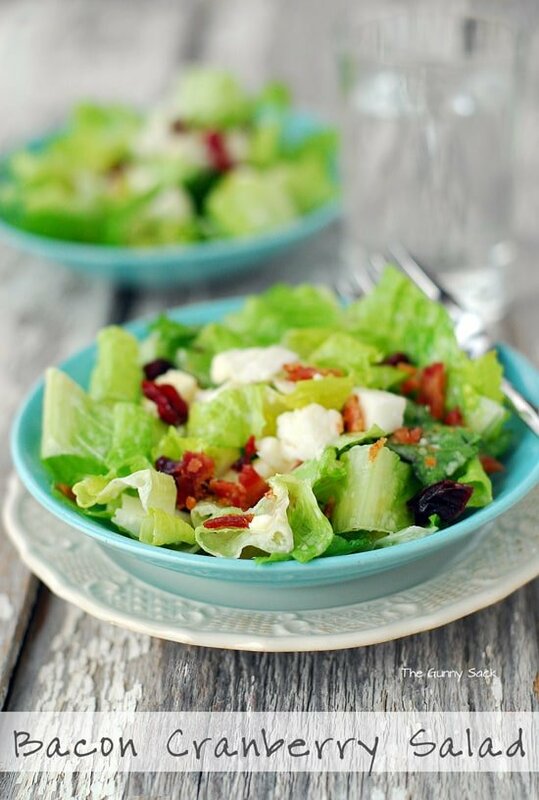 The combination of creamy dressing, crunchy bacon, crisp lettuce, and fresh tomatoes is fantastic! 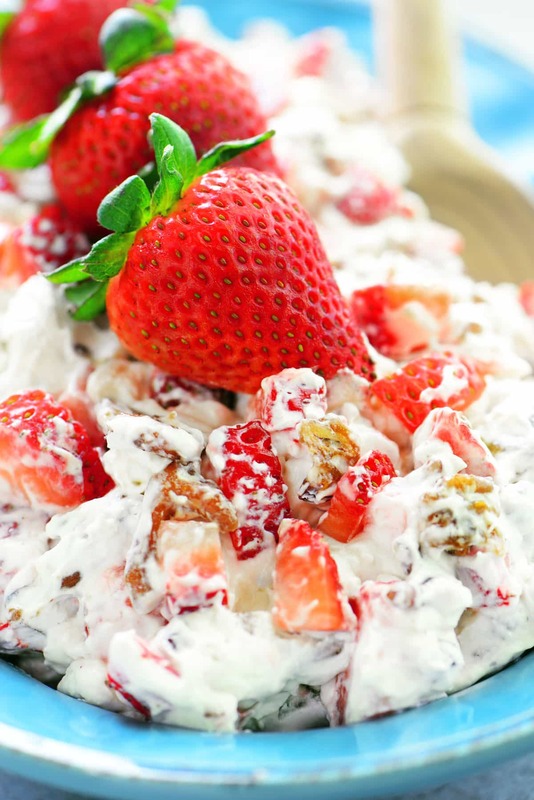 This is going to be a popular summer salad that you will want to make again and again. 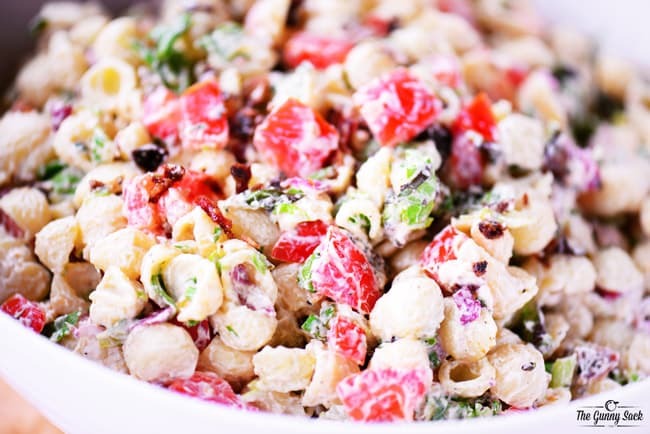 This BLT Pasta Salad features creamy dressing, crunchy bacon, crisp lettuce and fresh tomatoes! 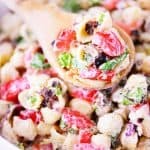 It's a popular summer salad recipe for a backyard cookout! Cook the pasta according to the instructions on the package. Drain the cooked pasta, rinse it with cold water, and once it water had drained transfer it to a large bowl. Cook the bacon in the oven. 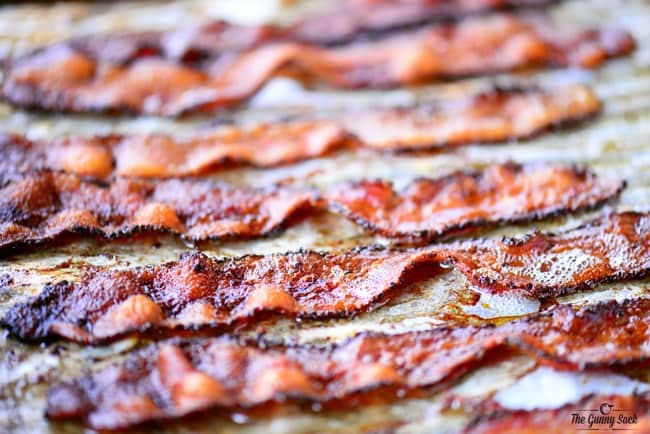 Lay slices of bacon on a baking sheet with sides. Bake at 400 degrees for 12-18 minutes, or until your desired crispiness. Drain the bacon on paper towels, chop it up, and add it to the bowl. To save time on this recipe you can cook the pasta on the stovetop and the bacon in the oven at the same time.